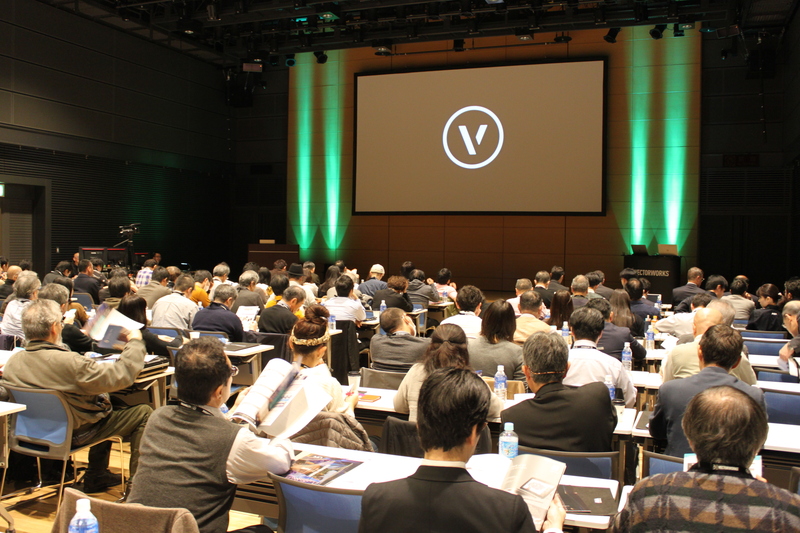 Vectorworks Live event at Shinagawa Grand Hall. Photo courtesy of Takeshi Nohara. 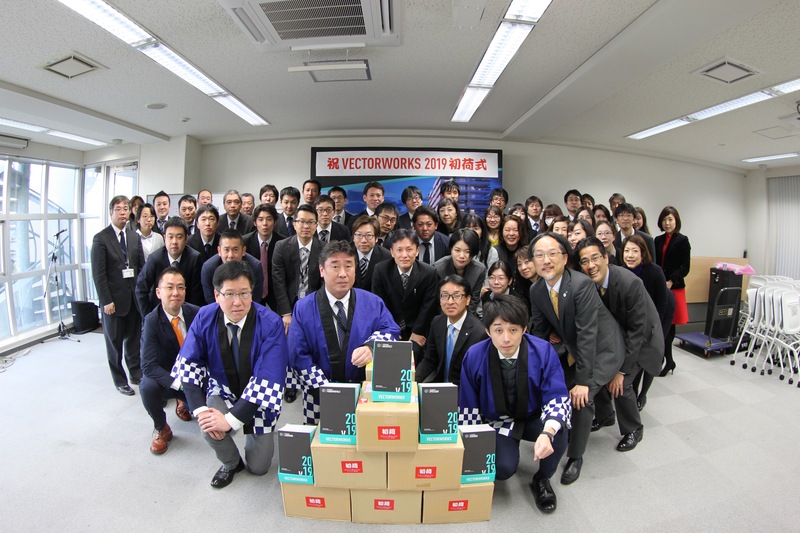 “This was a great opportunity for us to meet our customers in Japan and see first-hand the projects they are working on,” said Vectorworks VP of Product Management Darick DeHart. Among the many presentations about the latest 2019 features in Vectorworks Architect, Landmark, Spotlight, and Fundamentals, Vectorworks CEO Dr. Biplab Sarkar talked about the current status of Vectorworks, with Johnson and DeHart sharing their plans for core technologies and the design series in future releases. 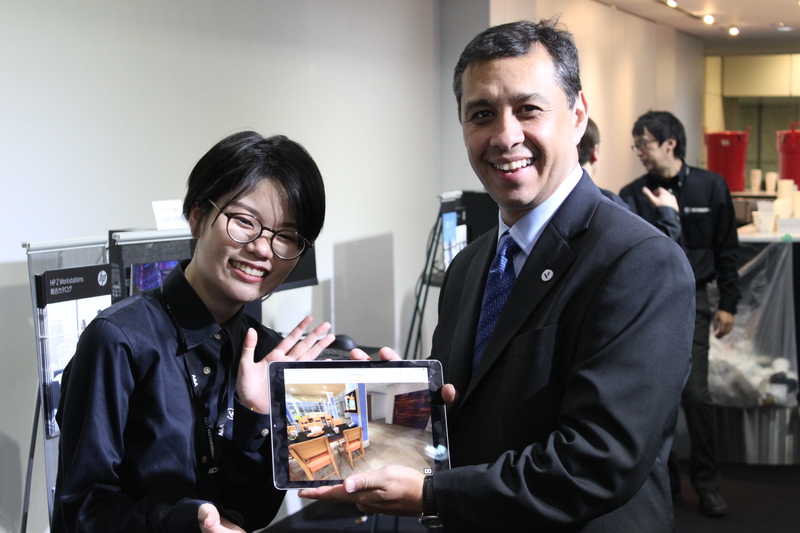 Vectorworks Senior Architect Product Specialist Luis Ruiz concluded the day by discussing the benefits of 3D modeling and renderings to the Japanese audience. Ruiz demonstrating Vectorworks rendered panoramas. Photo courtesy of Takeshi Nohara. Based on comments from the audience, Ruiz’s presentation inspired many attendees and got them excited to try Vectorworks 2019. 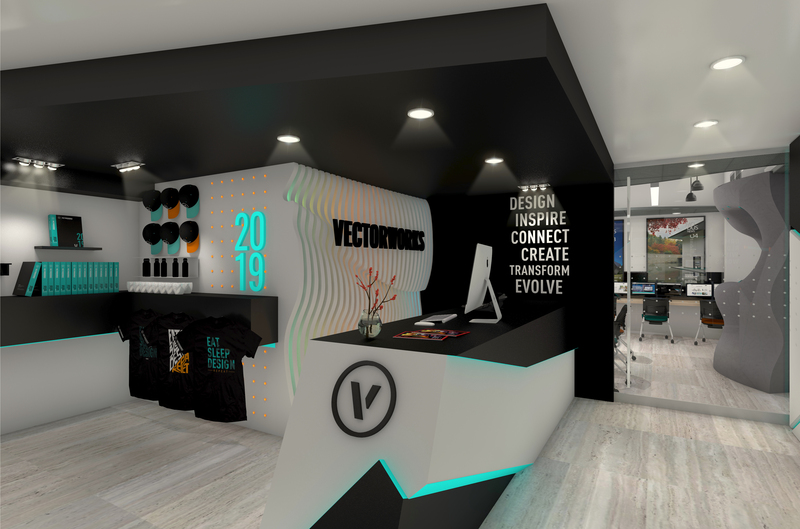 The Vectorworks storefront desk. Image courtesy of Vectorworks, Inc.
First shipping of Vectorworks 2019. Photo courtesy of Takeshi Nohara using fish-eye lens. Dr. Sarkar reflected on the event with similar thoughts. Want to know how Vectorworks 2019 can enhance your projects?